The signs of the zodiac are grouped into two basic categories. These are known as the Qualities and the Elements. The Qualities describe fundamental modes of activity and the Elements describe temperament. There are three Qualities: Cardinal, Fixed & Mutable and four Elements: Fire, Air, Earth & Water. Your horoscope has varying degrees of each Quality and Element. The percentages you have of each will determine their importance in your life. The higher percentages will be more powerful in your life, the lower percentages will be less powerful. Cardinal people are action oriented and initiating. They are interested in promoting change and bringing new things into the world. They are direct, assertive and like to take charge of situations. They are ambitious, independent and dislike being supervised. They are good at starting projects, but not so good at completing them. They have abundant enthusiasm and are very resourceful. Cardinal people generally don't hold grudges. The Fire signs go for freedom of action and power. They strive for recognition in life. They are out-going and enthusiastic, adventure seeking and powerful. They are ardent, passionate, assertive, demonstrative, bold and courageous. They can also be impatient and bossy, wilful and reactive, especially when they face delays or obstructions in their path. The Air signs go for freedom of action and freedom of movement. Air signs need to be able to come and go at will. Their domain is the air we breathe; hence they are conduits for communication and the exchange of ideas. They are mentally alert and intellectually stimulating. Gregarious and sociable, Air signs like to be around other people. They are observant and perceptive, curious and inquisitive. They live totally in the here and now, and want to be in whatever is going on. People with a majority of planets in the Water signs are motivated by the need to gain security in their emotional lives. They are sensitive, deep, compassionate, imaginative and intuitive. Their inner lives and dream lives are very active. They are spiritually inclined and potentially psychic, with an ability to tune into others. Life is experienced as a mystical journey. They can also be hypersensitive, impressionable and emotionally needy. The 1st House describes you, your self-expression and vitality. It is your physical appearance and the way others see you and interact with you. The 1st House cusp is, in most cases, the Ascendant or Rising Sign of your chart and indicates your primary motivation in life. The house placement of your 1st House ruler, or almuten, shows the areas of life that are of primary importance to you. Also, planets in your 1st House influence how you present yourself to the world. Your primary motivation is to attain power and recognition in life. You have a strong need for a restriction-free environment, with room for movement and self-expression. A lover of nature, you enjoy outdoor activities and adventurous situations. You have an open, friendly and frank personality, but can occasionally be opinionated, moralistic, blunt and tactless. You are a true seeker of wisdom and knowledge and will travel far and wide to acquire it. Higher education appeals to you. You realise your primary motivation in life by working quietly behind-the-scenes. You are a force to be reckoned with in a subtle way; because you keep your own counsel and others never know exactly what you're capable of. This doesn't mean you are threatening, just private and self-contained. You enjoy your own company and seclusion. You are an original personality, who has the ability to make an immediate impression upon others through your unique outlooks and individualism. You are strongly independent and delight in being different and going against the grain. You are motivated by freedom of action and individual expression and, in general, don't care what others think of you. Restless by nature, you require a lot of change and variety to keep stimulated. Conventional attitudes and conservative people are likely to bore you, while anything different and innovative attracts your interest. You are motivated by the desire to carry through reforms that reflect your and your generation's particular outlooks on life, despite inevitable confrontations with traditional or conventional forces. You are involved in innovative and experimental developments in learning and education - as either a student or educator. You either prefer the company of unusual and original people, or you come across to others as unconventional and eccentric yourself. You enjoy change and variety with regard to your associations and can be inclined to make and break contacts suddenly and unexpectedly. When meeting new people, you tend to assess their character intuitively and quickly. You may associate with people who expose you to unsettling or disruptive experiences. You march to the beat of your own drum. While you generally get along well with others, you cherish your independence and the freedom to come and go as you please. Professionally, you will choose a career that is unusual in some way, or you could be attracted to modern occupations involving the latest technological or scientific advancements. Your primary motivation in life is to attain power and recognition. You have a strong need for a restriction-free environment, with room for movement and self-expression. You love nature, the great outdoors and adventurous situations. You have an open, friendly and frank personality, but can occasionally be opinionated, moralistic and tactless. A true seeker of wisdom and knowledge, you range far and wide geographically and intellectually. Higher education and international travel appeal to you. Most likely you will pursue both of these. You have natural warmth, coupled with an ability to make others feel at ease in your company. You enjoy good relations with others because you are generally easygoing, obliging and able to adapt to most situations. Women play an important role in your life and you will have many contacts with them. You are quite a complex person; some days you come across as shy or inhibited and other days as authoritarian and controlling. You are very practical and take your responsibilities seriously. Possibly, you have held responsible positions throughout your life, perhaps even since childhood; e.g. you may have had to look after younger siblings. You are quite self-contained and tend to keep your own counsel, consulting with others only when you need to. This can make you appear aloof or distant and give you a reputation for unilateral decision-making. Experience has made you circumspect in your dealings with others. You tend not to suffer fools gladly and have little time for silliness and trivialities. Sometimes you experience difficulties relating to others, or you just cannot be bothered with the demands of relationships. You may shun company and spend periods in seclusion. It is possible that you may experience periodical bouts of low vitality. You have great will-power, which you can direct into projects of personal interest; however you will need to learn how to work with others if you want their assistance. Others perceive you as a person who can be coercive and controlling. You are intense and dominating and, as a consequence, often find yourself embroiled in power struggles. In extreme cases, you can come across as dictatorial and, if you feel your authority is threatened, can resort to ruthless or oppressive behaviour. Alternatively, other people - especially partners - can wield power over you. You tend to radiate a dream-like quality that draws others to you. You are highly receptive to environmental influences and other people. Positively, you have a keen imagination, intuitive and creative gifts, coupled with the power of inspiration. In contrast, care is necessary with intoxicants, as these can over-stimulate your nervous system. You can expose yourself to exploitation by others by being too yielding or impressionable. You are a member of a generation that has high hopes for the future and a better world in general. You dream of faraway places and perhaps harbour visions of Utopia. Your adherence to adopted religious and philosophical models may undergo tests of faith. You have great patience and instinctively know what is possible and what isn't; consequently you succeed where others don't. Spiritual values are more important to you than material success, because you recognise that the latter doesn't provide lasting satisfaction. You have a deep desire to help those in need. Neptune and Pluto are the solar system's slowest moving planets; consequently aspects between them last for a great number of years and their effects are less personal than collective. Since 1940 and continuing until about 2040 they are in sextile aspect to each other. The major effect of this is to accentuate spiritual awareness and development en masse. You are part of a generation that is intent on exploring and refining the inner aspect of life and consciousness itself. You will be aware of a universal interest in metaphysical subjects, clairvoyance and psychical research. Money is a serious business to you. Irrespective of your financial situation, you don't tend to be frivolous or extravagant, possibly because you have a fear of poverty. You work hard for your money and manage it well by investing it carefully. Your friends can help or hinder you financially. Equally, you and your friends may be involved in projects or schemes that bring monetary reward or loss. You could receive financial assistance or sponsorship from people who are well-connected. Also, you may contribute money to causes. With the Moon's South Node placed here, you experience difficulties with money and possessions. Problems and misunderstandings will be experienced in your relationships if you are too quiet and reserved, or too controlling. Impulse buying is not unknown to you! A certain amount of your energy and drive is directed at making or spending money. On occasion, you may be prepared to take financial and business risks. You can get a rush from wheeling and dealing. Less positively, there can be conflicts over money or personal possessions. You are ambitious and have the capability to set your sights on an objective and to reach it by practical work and effort. You have the ability for strategy and planning and are well-suited to managerial positions. Known for your efficiency, you can be relied upon to carry out well-planned actions effectively and with the minimum of fuss. You are naturally bold and forthright, and generally up-front in your dealings with others. You have the capacity for leadership and are often motivated to take charge of situations. Competitive or aggressive situations bring out the fighter in you. You have a strong resistance to restriction and being ordered around by others. At times, you can be astonishingly frank and tactless. You are not afraid to take risks; however you can expect setbacks caused by impulsiveness or impatience. At home, you tend to rule the roost. Marital quarrels are likely. You have a sensual and passionate nature, with a strong need for emotional and sexual experiences. You express your feelings ardently, especially in personal relationships. You have strong desires and can be romantically assertive or even aggressive. In love, the thrill of the chase is often more exciting than the outcome. You are drawn to sexually magnetic people who are aware of their own sexuality and will occasionally form unions based solely on physical attraction. There can be a tendency to seek sexual gratification and then move on. A "love 'em and leave 'em" attitude is not unknown to people with this planetary pairing. Difficulties in love are possible through flirtatious behaviour or infidelity, obviously. You have a strong desire to take part in collaborative efforts. However, for this to succeed you need to tone down your tendency to dominate or compete with others. There is a danger of ego conflicts or infighting ruining joint endeavours. Team sports are an excellent outlet for this astrological pairing. You are ambitious for personal success and will use whatever means you have at your disposal to get to the top. You desire recognition in your career; however you may find that the demands of your job and those of your family impinge upon each other and cause you problems in both areas. Vocationally, you know what you want and how to get it. In fact, you can become a high-flyer in just about any area you apply yourself. You can be quite domineering and combative, which can be intimidating to others and cause quarrels and disputes. There may be clashes with others caused by family and vocational demands impinging upon one another. The 3rd House is associated with your immediate environment. It rules your neighbours and your relationship with your relatives, especially your siblings and cousins. It also rules all forms of communication. It describes your early education and ability to learn. You are a progressive and independent thinker with original ideas. You have the ability to surprise people with your comments, especially your relatives, schoolteachers and neighbours. An advocate for freedom of speech, you are not afraid to climb up on your soapbox to make a point if necessary. You have a very personal way of communicating and voice your opinions and ideas quite openly. You will be heard and people will feel compelled to respond to you. For some, you can tend to be too frank and direct. The 4th House is associated with home and family matters. It describes your parents - especially the father - and your relationship with them. It gives information on your family history or ancestry and the nature of your later life. Real estate and property belong here. Your emotional attachment to your home and family is strong. Home is your private domain; you need to feel that you can relax in it and seclude yourself away from the world's troubles. Preferably, you should live near water. You identify personally with your home and homeland. Your family could assist you advancement in life. Alternatively, pressures from within the family may compel you to assert your independence. The busier you are the happier you feel. Energetic and fun-loving, you pursue pleasures and amusements with enthusiasm and gusto. You have a great love of challenges, adventurous activities, sports and possibly dancing. You are bold when it comes to love attractions; and winning the heart of another may be one of your favourite pastimes. Taking risks or gambles can affect your financial security and well-being for better or worse. You could gain through speculation, but could also just as easily incur losses through carelessness. You may make money through creative activity or investments in art. Possessiveness in love could spell trouble. The 6th House is associated with work and employment or service. It describes your dependents such as pets, employees, servants and tenants if you have any. It is the house of health and sickness. It governs doctors, nurses and dentists. You are an energetic worker who likes to be kept busy and to set yourself challenges and targets at work. As an employee, you like to demonstrate your abilities; as an employer, you respect self-motivation and initiative in your staff. You need to take care against accidents or arguments in the workplace. You are totally pragmatic about the value of your labour and expect "an honest day's pay for an honest day's work". Your income may come from within the service industries or health sectors, or even through working with animals. The 7th House is associated with partnerships, both personal and professional. It rules your relationship with other people generally, including those who oppose you. It also describes the sort of person you will attract as a mate. You enjoy change and variety in your relationships. You are drawn to people who are intellectually stimulating, mentally alert and quick on the uptake. Communication is vital in your relationships. You are physically attracted to slim and slender people with fine bone structures. Possibly, you may marry more than once, or maintain more than one relationship at a time. Your personal unions are nobody else's business but your own. You and a partner require periods in seclusion together, but also occasional time away from each other. Secrets and secret actions lead to difficulties in your partnerships. The 8th House is the house of shared resources, other people's money, including the partner's. It is associated with wills, inheritances, death and loss. Losses of any kind can be distressing for you, especially if they involve loved ones. Inheritances are likely from the family. Shared resources with others may fluctuate and partners could worry about meeting financial obligations. You may share an interest in metaphysical matters with your friends. You may receive financial support from your friends to achieve personal goals and ambitions, or band together with them to invest money in ventures. Your karmic lesson can be to accept the facts of life; as hard as they may sometimes be. You may have to deal with inheritances, legacies or shared financial arrangements. You desire emotional understanding between yourself and others and are inclined to try and form soul unions. There is a tendency to maintain links with the family throughout life, despite the possibility of discords between family members. You have a testing relationship with others, either with authority figures or in your own capacity as an authority figure. You may feel blocked by other people from achieving your objectives, or experience difficult relations with others due to ego clashes. You count important and significant people among your connections. In general, you have well-developed social skills, coupled with the ability to charm and win over others. You prefer the company of cultured and socially sophisticated people, and tend to cultivate friendships with creative and artistic people. Breakdowns in relationships are possible through disruptive or rude behaviour. You are generally successful in your dealings with people, as you have the ability to adapt to their needs. You will make many contacts in life and, in most cases, your personal relationships and partnerships should be harmonious and positive. However, difficulties with others are possible because of a lack of adaptability or philosophical differences. The best friends you can make in life are with people who share the same aims and aspirations as you do. You have a strong need to be with people who understand and appreciate you at an inner level. You may be quite status conscious. Family ties are significant. There can be problems with the career. The 9th House is associated with philosophy, wisdom, spirituality, religion, higher education and travel. It also rules those you seek for advice such as lawyers, priests and astrologers. You are insightful and receptive to the vibrations of the higher mind. Your spiritual beliefs and religious convictions are emotionally based. You are fond of travel and may spend time living abroad. Important teachers and advisers tend to be emotionally sensitive and receptive, but also can be touchy and reactive. You tend to establish friendships with people who share similar philosophical outlooks and spiritual values as yourself. You can attract supporters or benefactors, who appreciate where you are coming from spiritually, academically and theoretically. The more you travel the wider your circle of friends. The 10th House is associated with your status in the world. It describes your reputation and level of public success. It is the house of career and, traditionally, the house of the mother. In most cases, your 10th House cusp is at the Midheaven. You are a natural worker and vocational matters are very important to you. You have a talent for precise and exacting work. Practical and efficient, you are well-suited to careers within the service industries, business, health sectors, computer fields or the research and academic spheres. You may have some difficulty achieving recognition in your profession. You are a backroom person, content with working behind-the-scenes. You may work with the needy, study the unconscious or work in institutions such as hospitals, hospices, prisons or retreats. The 11th House is traditionally known as "the house of good fortune". Your friends and benefactors are described here, as well as your hopes and wishes. You tend to attract out-going and gregarious friends, who are expressive and adaptable in most situations. In many instances, your friends are artistic, cultured or refined in manner. As a rule, you desire harmony in your friendships; sometimes you find yourself playing the role of peacemaker. While your friends are important to you, you need occasional time out from them, to re-centre yourself. Your friends may not get to know everything about you, as you tend to keep aspects of yourself private or apart from others. Friends often confide in you, as you have a sense of discretion. Your aim in life is to achieve inner balance and to establish harmonious relations with others. You have a talent for cultivating social connections and for mixing with the "right" people. Art, music and the finer things in life are important to you. You have the power to succeed and to realise your personal goals and aspirations, but only through great effort and self-motivation. You will tend to fluctuate between having a clear awareness of your objectives and feeling aimless and directionless. Success and professional respect is important to you and you take pride in your vocational accomplishments; however you may find that your career and family life are occasionally at odds. Your parents may not approve of your vocational choices; however it is important for the development of your individuality that you strive to realise your dreams. Your highest aspirations are soul based and spiritually significant to you. You have the power to form supportive contacts in your vocation, especially with women. Your professional life is susceptible to changeable circumstances; and you are likely change direction and jobs frequently. You are a warm-hearted and loving individual and, in general, enjoy good relationships with your family and work colleagues. You have a unique sense of style and have quite individualistic fashion tastes and preferences. Status in your career is important to you, and vocational successes are likely in creative occupations or the arts, the beauty or fashion industries, or the public relations sectors. You have high expectations in love and, at some point in your life, will experience a love union that all others are measured by. Negatively, you can turn others off through laziness, narcissism or conceit. There may be disharmony with others caused by family and vocational demands impinging upon one another. 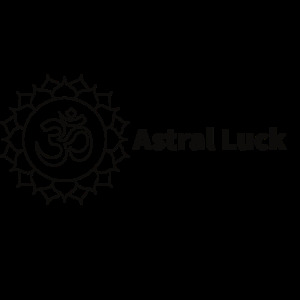 Despite being a challenging aspect this astrological combination can help you to rise to high positions in your career. You have the desire to do well in life and to advance personally and professionally. Others may seek you out for your advice and those in power tend to favour you. You may do well in areas related to spirituality, publishing, travel, law or education. There may be some tensions caused by family and vocational demands impinging upon one another. You have an emotional need to establish friendships and to belong to groups or clubs. Socially active, you will form many contacts throughout the course of your life, especially with women. Some attachments you form will be more lasting than others. You are sensitive to the needs of your friends, but also sensitive to the treatment you receive from them. Above all, you desire harmony and equality in your personal and social relationships. You enjoy company and social activity. Emotionally, you have a need for love and tenderness and will tend to form partnerships throughout your life to satisfy this. You value peace in your domestic life. You can, on occasion, be superficial with your feelings and reckless in your emotional life. You can attract powerful friends and supporters who can have a beneficial or destructive influence in your life. You may align yourself with reformatory social or political groups. At certain junctures in life, you can abandon long-held goals and pursue completely different ones. You have an almost revolutionary approach to inter-personal relationships, with the capability to challenge and transform public perceptions about marriage and partnership. You tend to hold and express extreme views regarding social issues. You are a member of an intense and powerful generation that has the capability to fascinate and wield power over others. Everything you achieve in life is as the result of sheer determination and effort. In reality, nothing of lasting value comes to you without hard work and sacrifice. A simple analogy you can use to understand this aspect is: the more preparation you do for an exam the better your pass will be, the less your preparation, the worse you'll do and the worse you will feel afterwards. You have great powers of endurance and perseverance, coupled with a tenacious attitude and the self-discipline to see things through to their successful conclusion. You have the power to perform at the highest level, but only after you have served an appropriate apprenticeship. Other people acknowledge your authority and expertise in a particular field, when they can see you've earned it. In summary, work hard and prosper, accept disappointments with dignity, not bitterness, and remember that difficult times don't last forever. You can be a bit of a loner and sometimes feel uncomfortable in social situations. You tend not to make friends easily; however you have the ability to cultivate genuine and long lasting friendships through sincere effort and steadfast loyalty. You can gain through the patronage and goodwill of older and experienced benefactors. Take care that you don't fall victim to false or deceitful acquaintances. You take relationships seriously and are a loyal and committed associate or partner. You have a sense of responsibility towards others and an awareness of what is just and fair between people. If called upon to cast judgement, you are generally impartial and even-handed. You have a skill for organising others and for delegating responsibility. You can, on occasion, appear stiff and formal in company and feel uncomfortable with intimacy. The 12th House is the house of ill luck. It is associated with sorrow and sadness, your self-undoing and downfall, as well as your secrets, worries and anxieties. It rules hospitals, hospices, retreats, hideaways and prisons. You may have secret relationships, which no one knows about. Vanity, luxury seeking and a susceptibility to flattery could lead to your undoing. Dependency on the input or opinions of others can weaken your ability to be self-reliant. You are quite discreet and can be secretive about your own motivations. You need periodic seclusion in order to re-charge your mental, physical and spiritual batteries. You have an all or nothing attitude when it comes to love. It is not unusual for you to experience the extremes of deep passion and cool indifference in romantic affairs. Difficulties in love can arise through emotional manipulation, power struggles or jealousy. You have a natural charm that others find attractive. Your warmth and affection is contagious and endearing to other people. You have strong powers of personal attraction and welcome the intimacy of individual relationships. Innately creative, you have the ability to develop artistic flair and an aesthetic sense. You appreciate beauty and refinement in all its forms. Your thoughts are more often than not on love and relationships. You need to share your ideas and affections with those who are close to you. You have a pleasant manner and easily interact with others. You enjoy social activity and are good company because of your sense of fun. You have a creative intellect and an eye for beauty and artistic design. You may also have talents as a speaker or writer. This is a very desirable aspect to have in a chart because it brings social and worldly benefits and facilitates successful relationships with others. Warm-hearted and sociable, you are a hit with other people because of your readiness to give generously and unreservedly. You have a pleasant and affectionate nature, which people find instantly attractive and appealing. Romantic encounters are generally positive and happy, and artistic ability is evident. You know how to enjoy yourself; however you can be prone to self-indulgence, sensuality and extravagance or wastefulness. There can also be an inclination to outright laziness. You need to create a space in your life where you can retreat and entertain your own private thoughts. You are quite happy in your own company and tend to prefer to work alone or behind-the-scenes. You are possibly interested in the occult, mysticism or psychology and may read, write or lecture on these subjects. Also, secrets and plots may intrigue you. You have a deeply perceptive mind, which is capable of profound thinking. While you tend not to be an "ideas" person, you are keenly instinctive and usually see things accurately, if not necessarily charitably. Rather than mince your words, you prefer to tell it like it is. You are interested in intrigues and have a talent for investigative or research work. You can be secretive, suspicious, scheming and sarcastic. You have an active and alert mind and an interest in learning. You like being involved in mentally stimulating projects. A thinking person, you thrive on intellectual stimulation and study. You also enjoy talking with people and expressing your opinions. At times, you can worry incessantly or suffer from nervous stress and overwork. You can be overly subjective and be inclined to take things too personally. You are basically an optimist at heart and usually express a positive and confident outlook on life. You are able to exercise intelligent reasoning and are generally tolerant of other people's ideas and perspectives. In general, you are a good communicator and can express your ideas easily and lucidly. You are quite wise and understanding of things and others will frequently seek your counsel and advice. In your desire to broaden your knowledge, you will most likely travel, correspond with people in other countries and possibly study or have business arrangements overseas. You may be well read and erudite. Certainly, you appreciate the value and benefits of a sound education. You will most likely have success as a speaker or writer. A sense of humour, wit and a generous nature will gain you popularity with others. Negatively, you can be intellectually arrogant, preachy or inclined to magnify things to stress a point. You are a private person who requires periods of seclusion and withdrawal from others to recover from the pressures of life. As a rule, you prefer to work behind-the-scenes and can feel uncomfortable under the glare of the spotlight. You experience fluctuating levels of self-confidence and tend not to be overly ambitious. You need to guard against the potential enmity of powerful individuals. You are intense, magnetic and insightful. You feel things deeply and are passionate about the things that interest you the most. Life is viewed as an exercise in survival. Everything you achieve is earned. You have great powers of perseverance and tenacity. Conflicts with others are common-place, despite your best efforts at harmony. You are steadfast in adversity and take pride in coping with life's challenges. You have an all-or-nothing attitude to most things and will give something your total attention if warranted. At times, you can be prone to bouts of extremism, fanaticism and obsession. You have an essentially positive and optimistic outlook on life, coupled with a strong desire to improve your position in the world. You are motivated to expand your awareness and broaden your horizons, which you can do through travel and higher education. You are naturally enthusiastic, gregarious and generous towards others, but can also be immoderate and wasteful or extravagant. You are inclined to overdo things, especially the good life, which can lead to weight gain and its associated problems. You have a humble and somewhat sacrificing nature and enjoy being of service to those in need. You may involve yourself with charity or volunteer work. Successes are possible through involvement with large institutions such as hospitals, universities or churches. Periods of solitude and seclusion from others can rejuvenate you. You have an interest in the mystical and an open mind towards the investigation of metaphysical knowledge. Sometimes you can be extreme and uncompromising in your philosophical beliefs; though you probably won't admit this may be true. You tend to be fascinated with power and have the capability to exercise it over others. The pursuit of pleasure may be one of your favourite pastimes.